In Hawaii, ono grinds (good eats) aren’t hard to find. You can attend a traditional luau, go upscale at Alan Wong’s, hit a shrimp truck, or wander through old-school markets like Honolulu’s Maunakea, where you’ll find stalls selling fish head soup, soba noodles, and durian smoothies. 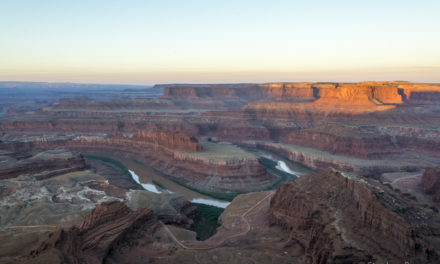 No state has a higher percentage of Asian Americans. Filipino, Japanese, Chinese and Korean cuisines are omnipresent and have blended with mainland U.S. and European influences to form unique hybrids. And don’t forget the classics. Native Hawaiians have been pounding poi and slow cooking kalua pork for centuries. Here are ten culinary delights you won’t want to miss in Hawaii. Spam became popular in Hawaii during World War II. Today, Hawaiians purchase over 7 million cans of the processed meat product every year, in varieties seldom found on the mainland (Portuguese Sausage, Honey, Bacon). 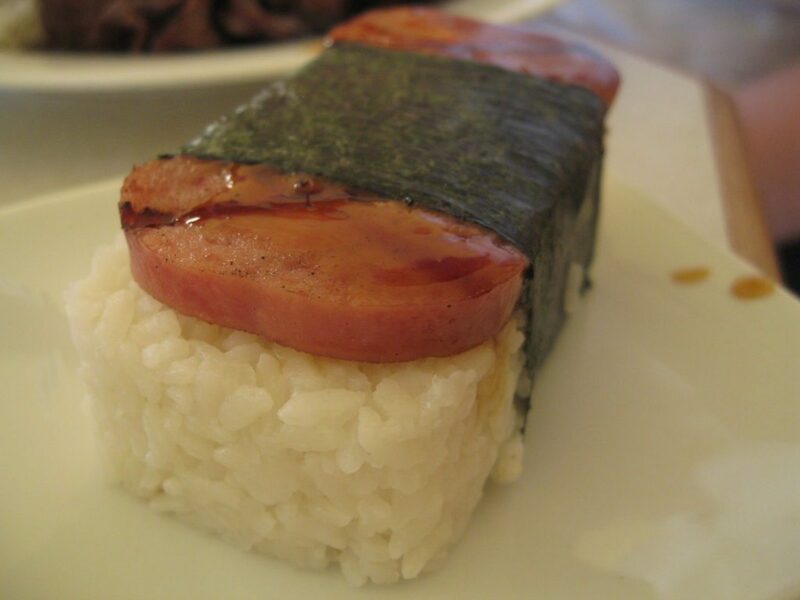 For a Japanese twist on this American icon, try Spam Musubi. It’s available hot and ready in any convenience store, and consists of a slab of fried Spam atop a chunk of rice, wrapped in nori seaweed. This ramen-like noodle soup was created in the early 20th century by laborers in Hawaii’s sugarcane plantations. The Chinese, Japanese, Portuguese, Puerto Rican, Korean and Polynesian workers all added their favorite ingredients, which can include almost anything, from char sui pork to gyoza. 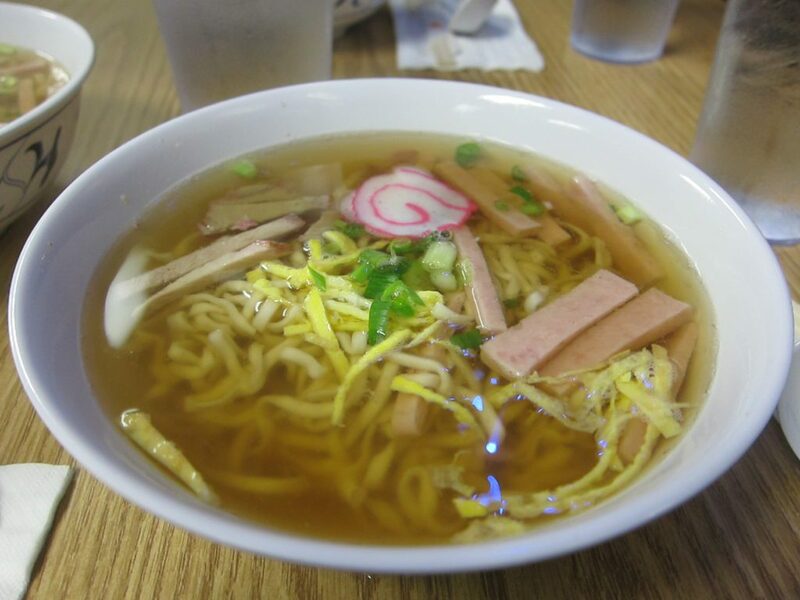 You can find saimin all over Hawaii; it’s a popular stadium food, and is even on the menu at McDonald’s. 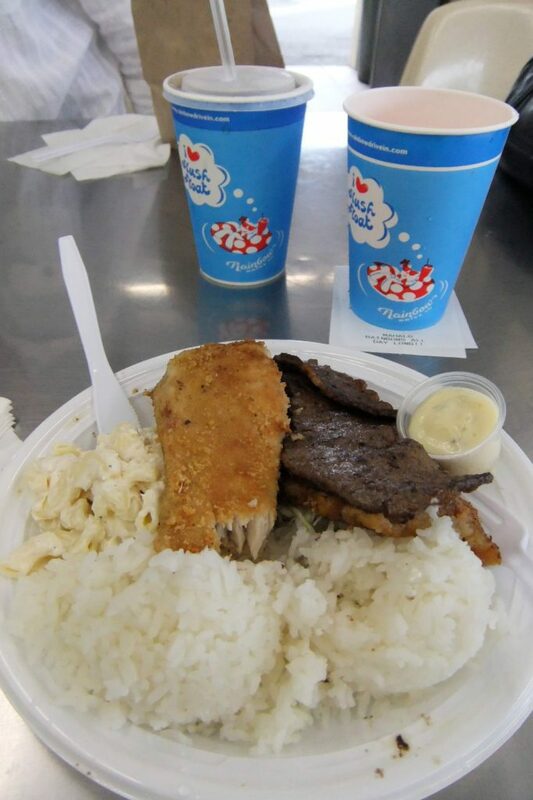 The historic Like Like Drive Inn (Honolulu) serves some of the best. 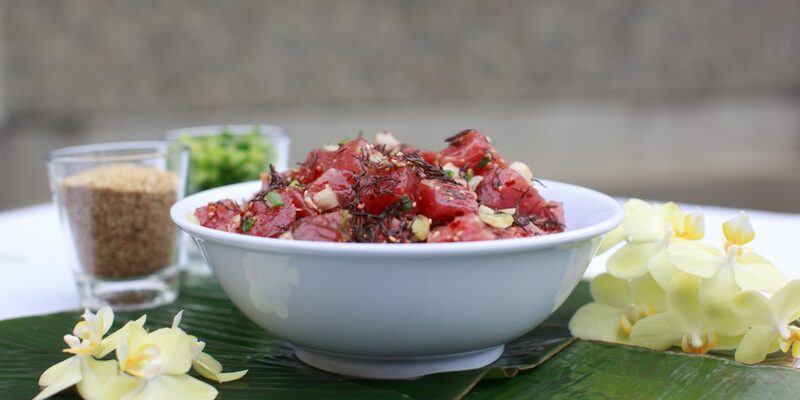 Poke (“to cut” in Hawaiian) is a raw seafood salad typically served as an appetizer. Octopus, fish (especially tuna) or shellfish are diced and seasoned with sea salt, onions, candlenut, seaweed, sesame oil, soy sauce, chili peppers, or other ingredients. 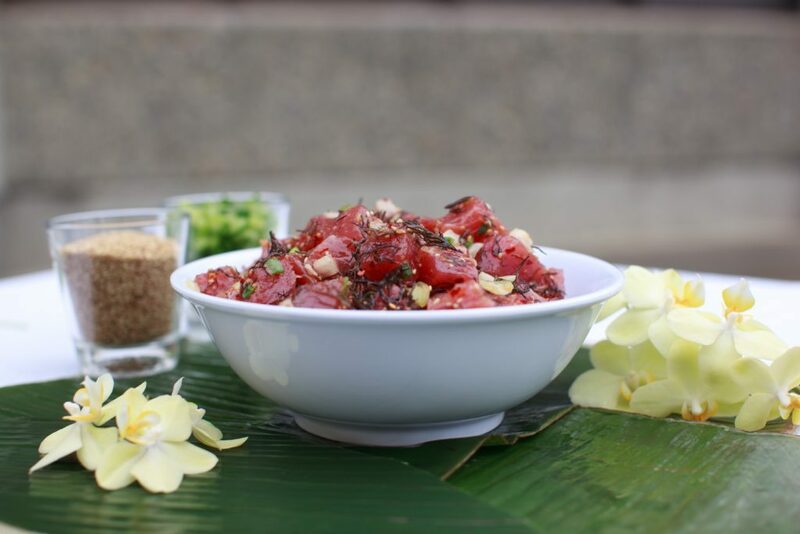 You can pick up poke in the refrigerated section of most Hawaiian grocery stores. If you like ceviche, you’ll love poke. This local favorite isn’t for the cholesterol conscious. 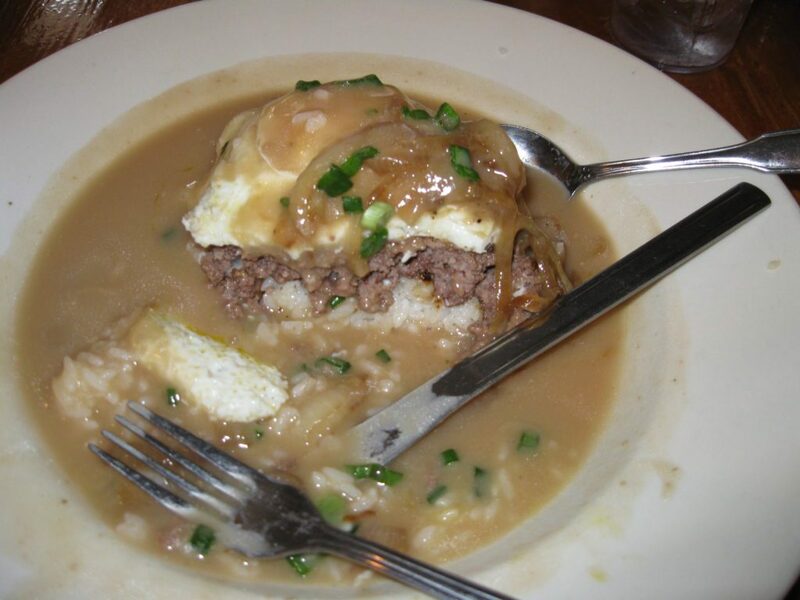 Loco moco is a heaping helping of rice, topped with a hamburger patty, a fried egg, and brown gravy, though you might also find it with fish, pork, or Spam. Makes a very hearty breakfast. Honolulu’s 24-hour Liliha Bakery (and diner) has been doing it right for decades. Another diner mainstay, this Hawaiian take on the Japanese bento consists of white rice, macaroni salad, and a choice of entrée. If you can’t decide on the main course, go for the mixed plate with chicken, beef, and fish. My favorite spot for a plate lunch is the historic Rainbow Drive-In in Kapahulu, Honolulu. For a traditional Hawaiian plate check out the Bishop Museum Cafe. 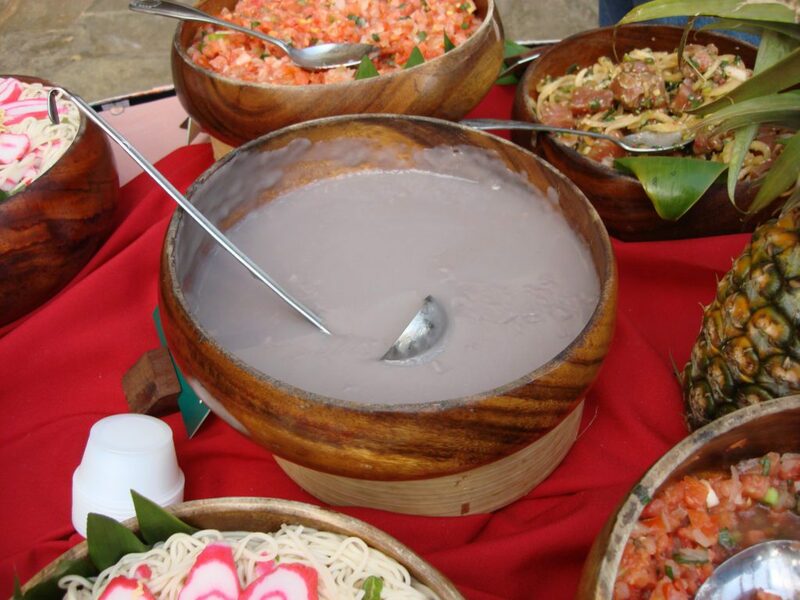 You’ll get kalua pork, lomi-lomi salmon, sweet potatoes, poi, and haupia, a coconut custard dessert. Authentic kalua pork is rubbed in sea salt, wrapped in leaves, and cooked up to seven hours in an underground oven called an imu. 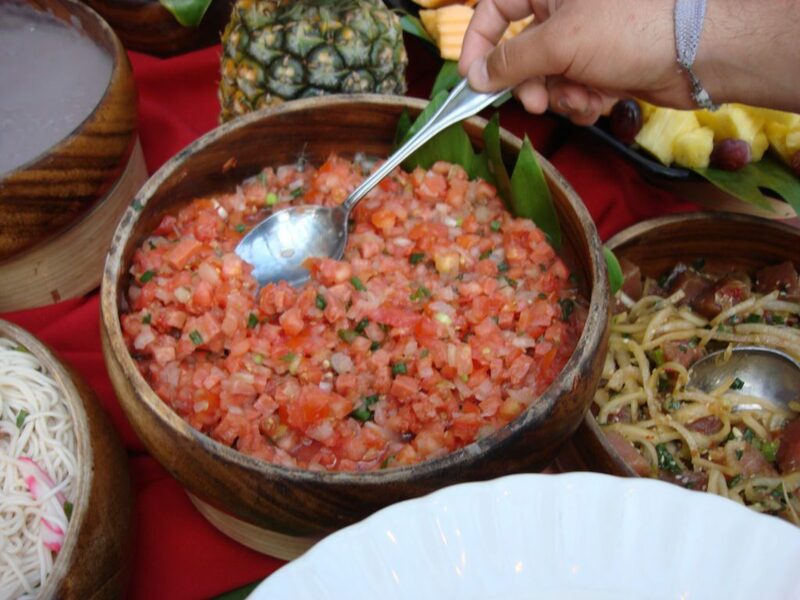 To eat it, you’ll probably have to attend a quality luau. 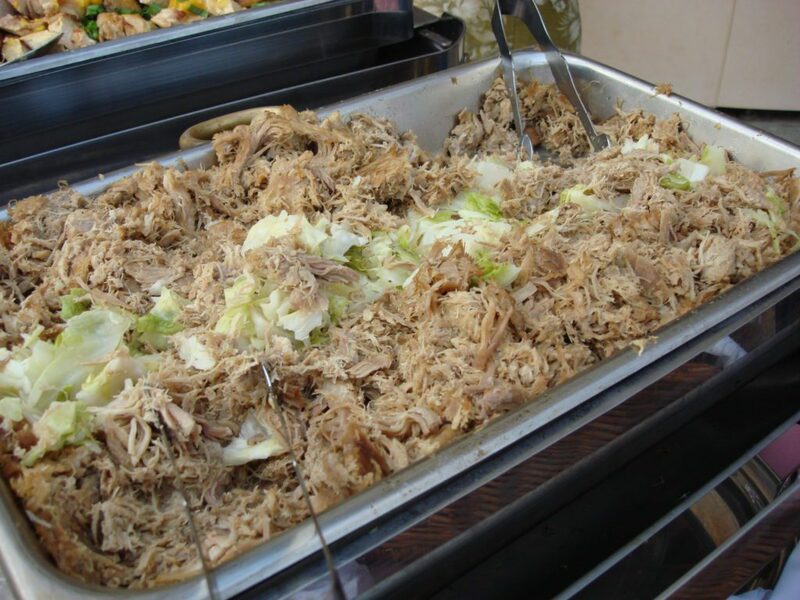 The kalua pork served at most restaurants is cooked in a conventional oven using liquid smoke for flavor. 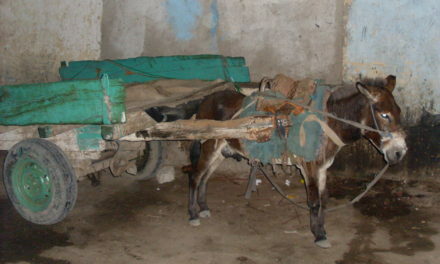 Both versions resemble pulled pork and taste a bit salty. I like it on a bun (purple taro or sweet Hawaiian) with barbecue sauce. Lomi-lomi means “to massage” in Hawaiian. Raw, diced salmon is salted and mixed with tomatoes and onions by hand. It’s served cold, as a side, and is very refreshing. Hot peppers can be added for zing. Salted salmon was first introduced to Hawaii by traders from the Pacific Northwest in the early 1800s. Poi is made by mashing the cooked root of the taro plant and adding water to achieve a preferred consistency. 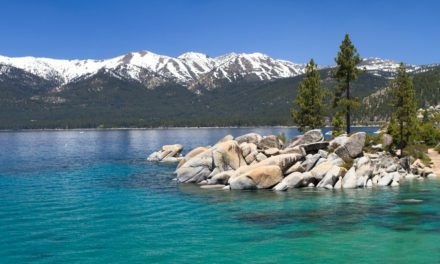 While it seldom gets stellar reviews from tourists (“tastes like paste” is a common observation), it can be quite good if eaten fresh. When poi is allowed to ferment, it gets sour. Add sugar if you must. 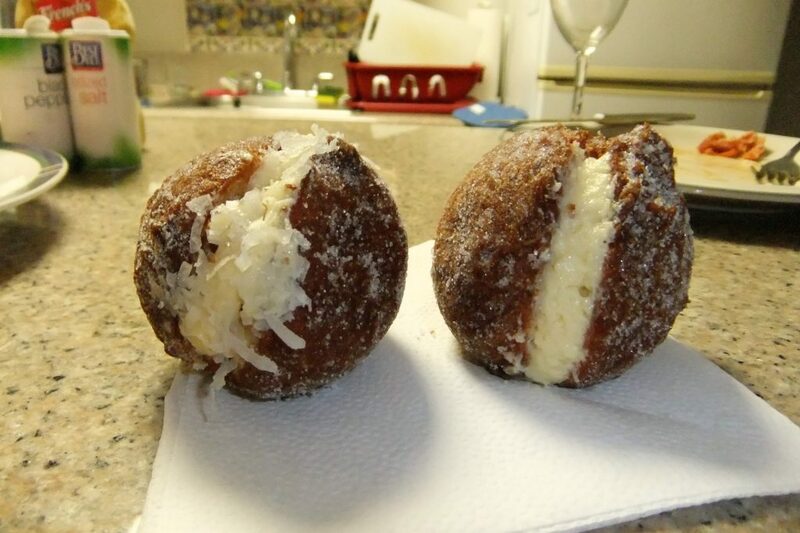 If that bowl of poi has left a bitter taste in your mouth, follow it up with a couple delicious Portuguese donuts. These deep-fried dough balls sprinkled with granulated sugar were brought to Hawaii by plantation laborers from Madeira and the Azores. You can also find filled versions; my favorite is coconut cream. Leonard’s Bakery on Kapahulu Ave. started making malasadas in 1953, and they’re still the best in Honolulu. Yes, it’s “shave” ice, not “shaved” ice. 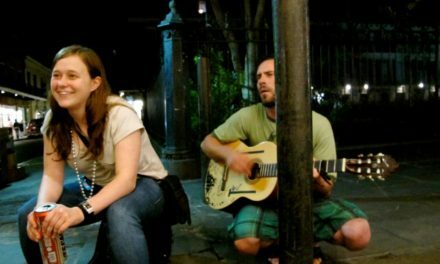 Forget your grammar and ask for it like the locals do. 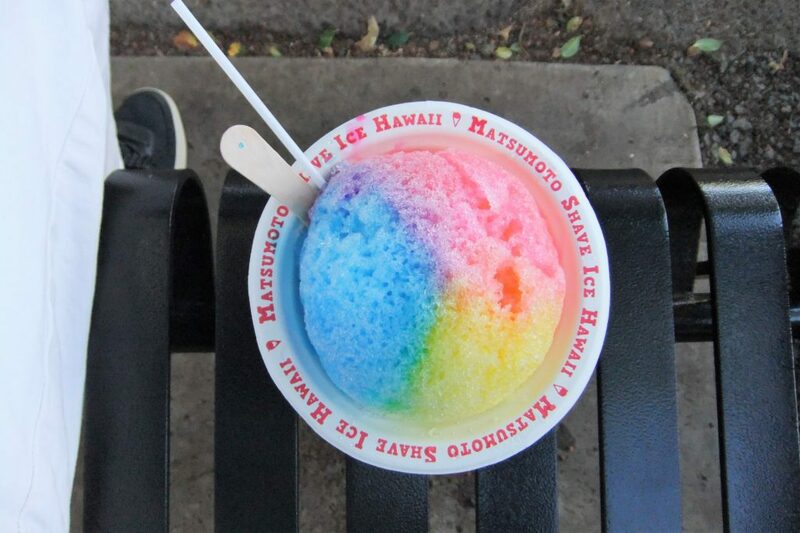 Shave Ice came to Hawaii from Japan, where it’s known as kakigori. Because the ice is shaved, rather than crushed, it’s much finer than what you’d get in a snow cone. All manner of syrups are used to flavor the ice (lychee is big right now), and you can opt for ice cream or bean paste on the bottom or sweetened milk on top. No trip to the North Shore of Oahu is complete without a stop at Matsumoto’s, shave ice capital of the world. If you’re heading to Hawaii you might like this article on Hawaiian Tiki Culture.